The Northeast Region Order of the Arrow issued 2 patches for the 2018 NOAC. The first is shown below and available to all. 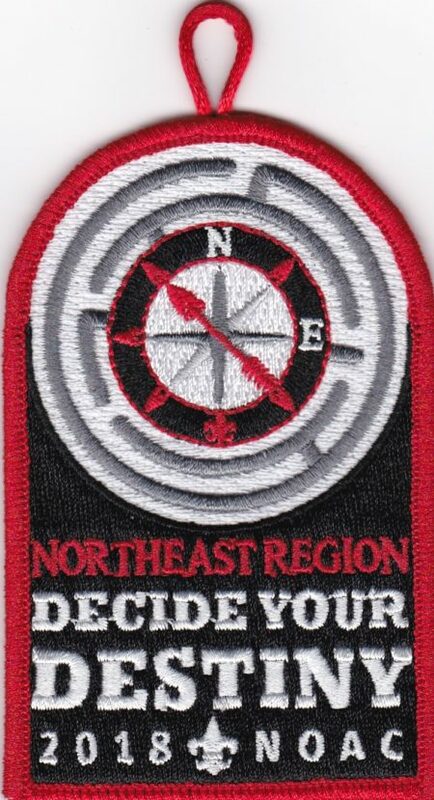 For those who collect Northeast Region Order of the Arrow Patches Dave Scocca’s website is invaluable.